One of the most difficult decisions that have to be made during the process of aging as a senior is when the senior needs assistance with activities of daily living (ADLs). ADLs are the list of things that we do in our daily lives, bathing, eating, hygiene, dressing, grooming and toileting. In addition to the ADLs there are instrumental activities of daily living (IADLs). These include paying bills, driving, shopping, housekeeping and medication management. When one is no longer able to provide these services independently, the family and senior must look for options to assist. Most often the changes that lead to needing assistance with ADLs or IADLs are medical or healthcare in nature. At that point the primary issue for the senior is that of safety, quality of life and dignity. The chance of reversing the changes of aging is limited to none existent. 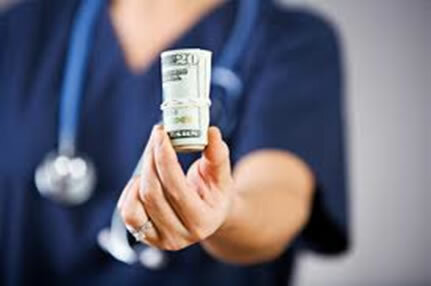 Many people assume that Medicare will provide for their nursing home care. That is not true. Medicare will pay for some nursing home care, but only under strict guidelines of services. The Medicare rules will pay for up to 100 days of nursing home care for rehabilitation purposes only. The 100 days may require co-payment and is not guaranteed. If the senior does not meet the criteria for admission Medicare will deny payment. Nursing homes screen potential residents closely to assure that they fit the admission criteria. There is also a hospital stay requirement for the senior prior to nursing home admission. If the senior does not continue to improve and/or plateaus in the area of physical, occupational or speech therapy, Medicare ceases to pay for services and the resident must be discharged or pay for these services privately. The 100 day cycle may be repeated, but there are time lines that Medicare has established. The web site www.medicare.gov can provide you with the details. The most common source of payment for nursing home care is Medicaid or Public Aid. Seniors who use this as their source of payment must verify income and assets to qualify. These qualifying factors are state specific and an Elder Law Attorney is your best resource. There are virtually no ways to eliminated assets over the short term to qualify for Medicaid. Not every nursing home is willing to admit seniors whose bills are paid for by Medicaid due to the payment structure of Medicaid. There are assisted living facilities that provide assistance for seniors with some ADL needs. The typical situation is that the senior must only need minor assistance with bathing or grooming and if incontinent is able to manage their own incontinence products. These facilities are paid by private funds of the senior or family. They are less institutional setting appearing, but cannot replace the skilled nursing care and supervision of a nursing home if that is the level of care the senior requires. Some states have waiver programs for Medicaid to reimburse for assisting living levels of care. The number of states offering this varies. Find the agency that manages Medicaid funding in your state and contact that agency for more information. Because these buildings are funded with public funds, they will likely have different admission and continued stay criteria than the privately owned assisted living facilities. Long term care insurance is another source of funds for senior care. Depending on the policy, the insurance coverage may include non medical or non skilled home care, skilled home care, assisted living or nursing home care. Your family may even be able to be hired as a caregiver with some policies. Polices vary widely so contact your insurance professional for help with the policy language. Non medical or private duty home care is an option that some seniors chose. The name of the service varies dependent on the area of the country. What this service provides is non medical, home attendants without medical training. Some companies hire certified nursing assistants, CNAs, as attendants, but the these individuals are not independent practitioners and offer little value over the non CNA. These services are paid for privately by the senior or family. They may augment or replace family caregiving. The agencies charge an hourly fee, with minimum work hours, through 24/7 live in attendants. These staff are employees of the non medical agency. The agency is licensed and has to meet state statutory requirements for their business operations and employment practices. The other non medical option is to hire individuals privately rather than through an agency. This is a common practice in some parts of the country. In this case, the attendants are employees of the family and the family is responsible for taxes, workman compensation payments and lost time, finding replacement workers and other employment costs. The employee works for the family who makes the hiring and firing decisions. The down side is that many of these individuals have English as a second language and there may be communication and cultural challenges for all involved. The Veteran’s Administration provides assistance to veterans and even their spouses in some instances. The DD 214, discharge papers from the military, is necessary to validate dates of service of the veteran. If the DD 214 is not available, one can be ordered at www.va.gov. The spousal benefits are titled VA Aid and Attendance. As with all VA benefits financial need and asset level will be required and evaluated for need by the VA. The process is time consuming, but may be worth the time for the potential financial benefit. A number of private nursing homes also have contracts with the VA to provide services for veterans. Independent living apartments are typically only paid for with private funds. There are low income or Housing and Urban Development (HUD) apartments and units that seniors with limited resources may qualify for. Start planning early, because there is often a waiting list of years to get a HUD apartment. There are Continuing Care Retirement Communities, CCRCs that are offer the entire continuum of care across time and across the needs of the senior. Most of these have substantial entry fees that are partially refunded to the estate when the senior dies. There is also a monthly fee paid for the tenure of the stay. These places offer independent, assisted living and nursing home care, but the senior must move from one unit or building to another for the care. It is not provided in the initial apartment.